Truly one of the originals of the death metal scene, Obituary's 'Slowly We Rot' from nearly thirty years is still highlighted by many as a classic, and it is incredible to see that three of the guys in that line-up are still here on the tenth studio album. 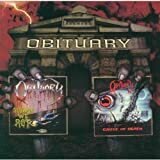 When I heard that this album had been released I was incredibly excited, as I have always thought of Obituary as a band that will always deliver the goods, time after time. But, even though the band is tight, John's vocals are as raw as they have ever been, and they smash through one song after another there was just something missing for me, a spark, that magical item that lifted them out of the ordinary. To be honest, I soon discovered that I was bored, which is never a good thing in any form of music, but with death metal? Really? When I started looking ahead to see how many songs there were still to play on the album I knew that something wasn't right. It's not that I have lost my love of the genre, in fact I listen to far more of it these days than I did ten or twenty years ago. A quick check of my collection made me realise something that surprised me, namely that although I do have four other albums by Obituary, the most recent is from twenty years ago. So possibly I have never been as much of a fan as I thought I was, and this album is unlikely to do anything to make me change that opinion. 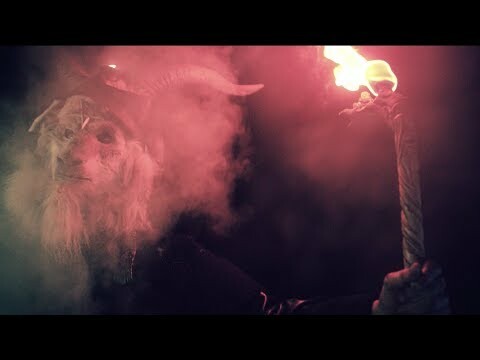 Thy will always be a favourite on the festival circuit, and I am sure that they are great in concert, but is this an album to rush out and buy? It's not bad, but it certainly isn't brilliant either. 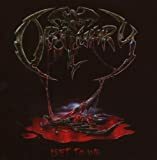 "Obituary" is the eponymously titled 10th full-length studio album by US, Florida based death metal act Obituary. 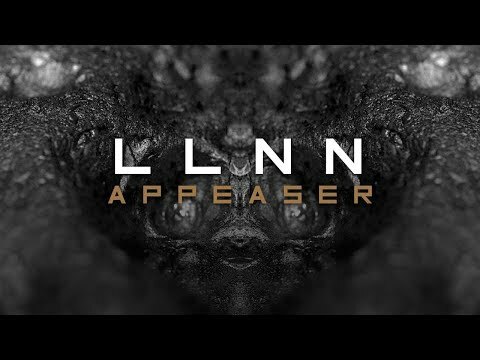 The album was released through Relapse Records in March 2017. It´s the successor to "Inked in Blood" from 2014 and features the exact same lineup who recorded the predecessor. According to the band it marks the first Obituary release with noteworthy songwriting contributions from bassist Terry Butler and lead guitarist Kenny Andrews. 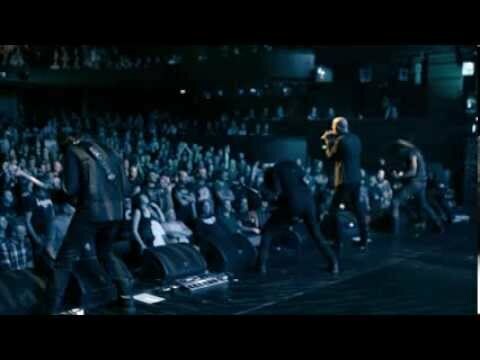 The release of "Inked in Blood (2014)" was followed by heavy touring activities, which subsequently led to the release of the live album "Ten Thousand Ways to Die (2016)". A live album which also featured two studio tracks in "Loathe" and "Ten Thousand Ways to Die". The latter track is also included on this album, while "Loathe" has been left off. Releasing an eponymously tited album is usually something artists do to send a signal to the world. Sometimes to signal that the artist feels that the album is the essence of what the artist is about, or to signal that it´s the strongest material that they´ve written, a return to the roots, or a shift in sound. It can basically mean a lot of different things, but in the case of "Obituary", it´s probably a celebration that it´s the now 10th album release by the pioneering Florida death metal act. 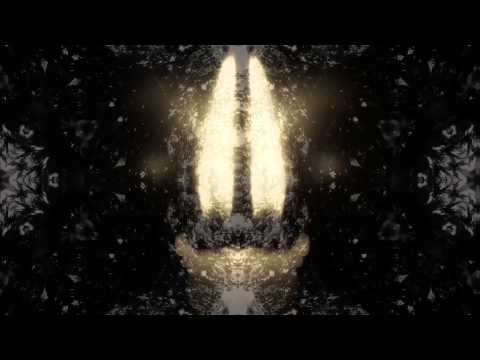 In this case it certainly doesn´t mean a shift in sound or a return to the roots, because Obituary never really left their roots, and stylistically the material on the 11 track, 36:28 minutes long album pretty much continues down the same old school death metal path as the one tread on "Inked in Blood (2014)" and as such on all the preceeding releases. 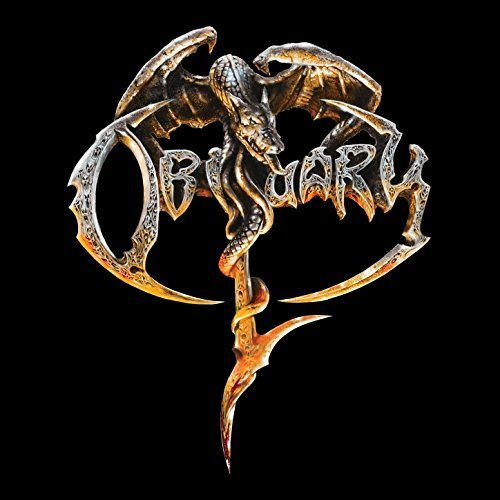 Obituary have always been remarkably consistent in sound and style, and while it´s not always a strength that an artist doesn´t develop their sound much over the years, there are a few exceptions to that rule, and one of those exceptions are Obituary. 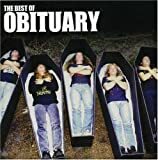 So every Obituary trademark element is in place as usual, from the distinct sounding guitar tone, to the well played guitar solos, to the heavy brutal grooves, to John Tardy´s unique and ultra brutal growling vocals. The material is well written and quite effective, but also a bit one-dimensional. The pace is changed a couple of times, and there are a few faster paced tracks on the album, but mostly we´re treated to heavy mid-paced and ultra heavy tempi. 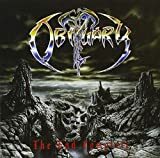 The trademark Obituary grooves are here in abundance, and tracks like "Turned to Stone", "Betrayed", and "Ten Thousand Ways to Die" represent that part of the band´s sound. As it´s almost always the case on Obituary´s releases not all tracks stand out equally much. It´s not a major issue, but the overall quality of the album would have been higher if all tracks were as catchy as the best ones. 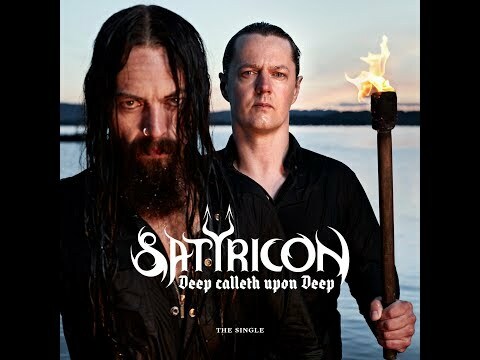 That´s about my only gripe with this self-titled release, that is otherwise another high quality brutal kick in the nuts by one of the legends of the genre. The sound production is also powerful, raw, and brutal, and although I don´t count the sound among their best productions, it´s still well sounding and suits the material well. 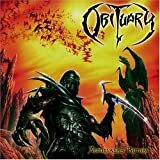 The band are as well playing/singing as ever, so upon conclusion this is another quality death metal release by Obituary. A 3.5 - 4 star (75%) rating is deserved. I must admit that I don’t usually get excited at the prospect of a new Obituary album, interested yes but rarely more than that. Considering their importance in death metal, one of the originals etc, I find this strange to say the least. First of theirs I ever bought was Cause Of Death back in 1990 (didn’t hear Slowly We Rot until later as it happens), generally regarded as one of their best and my penchant for Celtic Frost style guitar riffs certainly helped me enjoy that but John Tardy’s strangled growl wasn’t an easy listen for me, though time has tempered that feeling and his voice for that matter. Since then I’ve heard good and not so good Obituary and there’s at least a couple of their albums I don’t recall hearing at all. Now don’t ask me why but some reason my interest was piqued by this eponymous new release and I even pre-ordered a vinyl copy. I’m really glad I did as it’s brilliant! There’s no particular reason why this self-titled album should be better than the last few as they haven’t deviated from their formulaic no-nonsense traditional death metal with groove approach. It’s Obituary doing pretty much what they’ve always done. That Celtic Frost guitar sound is still present - not quite as obvious as in the past, though there are moments where it’s unmistakeable and Tardy’s vocals are less extreme these days too. Why it’s so good is for starters the production is spot on - Clear and powerful with everything sitting well in the mix. Mostly though it’s a killer collection of songs that make it. Ten songs at only thirty three minutes is a short album but fortunately they don’t waste any of it. Brave and Sentence Day make a strong start. Both pretty pacey, packing powerful and memorable riffs and the pair of them all done in less than five minutes. There’s also the slower groove based stuff the first being A Lesson In Vengeance and features some fine lead work from Kenny Andrews. End It Now is the best of both worlds with its fast rolling triplet kick drum pattern though slowing down for a more groove orientated section. Without going into every song individually the rest of the album maintains the high standards set early on making it one of, if the not the most consistent Obituary album since the early days. If you’re looking for innovation look elsewhere, there’s no great leap in style from past Obituary but if you enjoy this band this is an essential album for you. Right now I’m enjoying this more than any Obituary album and put it up there with their best no problem. My only complaint is at the length of the album the bonus track No Hope on the CD could have easily fit on the vinyl version too. No OBITUARY OBITUARY reviews posted by members yet.